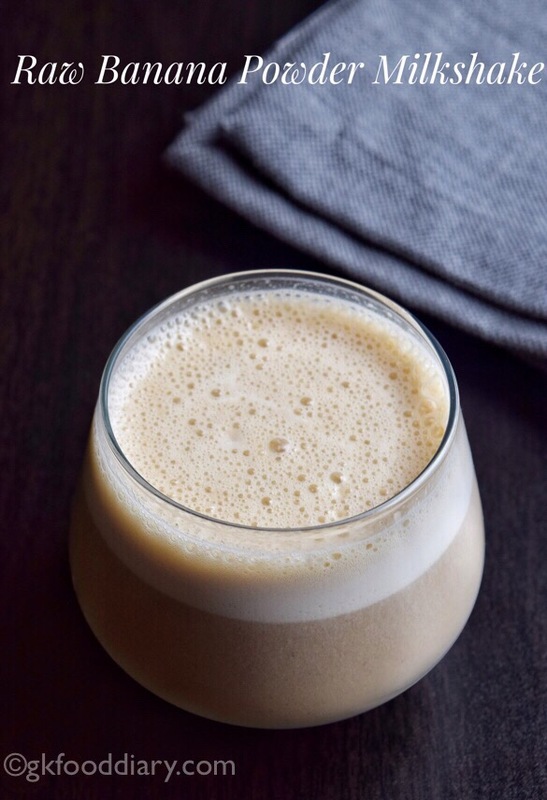 Raw banana powder milkshake – healthy milkshake prepared with raw banana powder, milk, and honey. The raw banana powder has so many health benefits and packed with nutrients. Also, it is a healthy weight gain food for babies and toddlers. I have already shared porridge recipe with raw banana powder. Not all kids love the taste and consistency of porridge once they grow up. Also, it can become monotonous and bland over time. 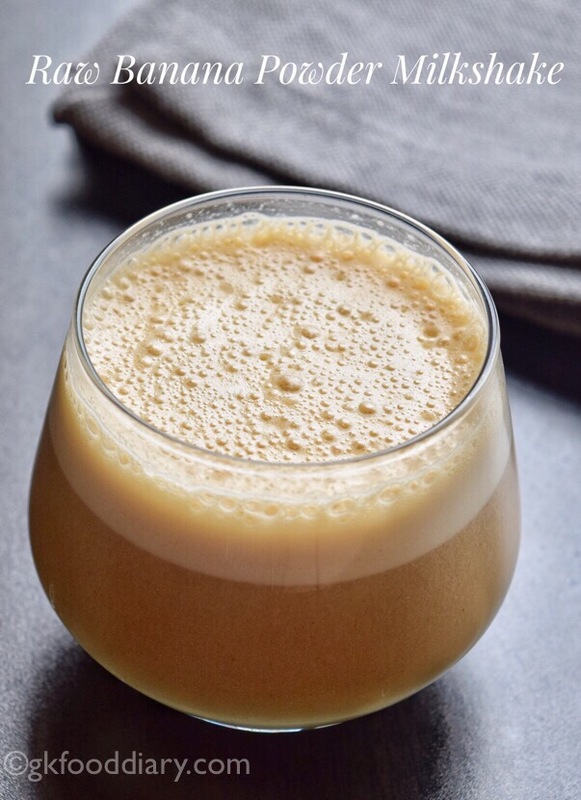 This raw banana powder milkshake comes to the rescue if your child doesn’t prefer eating porridge. It tastes so yummy, and you can start giving this healthy milkshake from one year to your toddler. Now let’s get on to check raw banana powder milkshake recipe for toddlers and kids. Take 2 tbsp of raw banana powder and add it to a thick bottomed pan. Add ¾ cup of water to it. Mix well with a whisk. Cook everything in a low flame for 5 minutes or until the raw banana powder gets cooked well. Stir it continuously otherwise it gets to stick to the bottom. 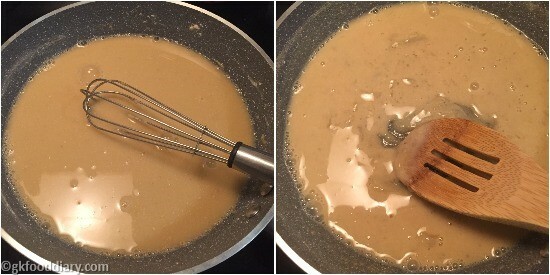 Once the raw banana powder is cooked, add powdered palm jaggery or palm jaggery syrup. Mix well and cook further for 3 minutes. Switch off the flame once done and cool it down. Transfer the cooked raw banana powder to a blender and add milk at this stage. Then add honey to it. 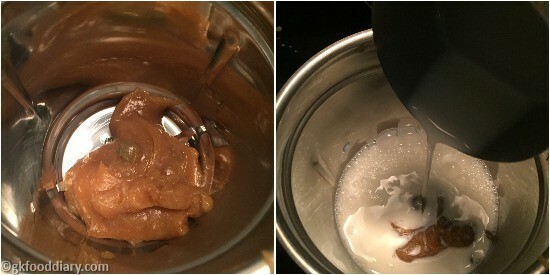 Blend everything until smooth. 1. 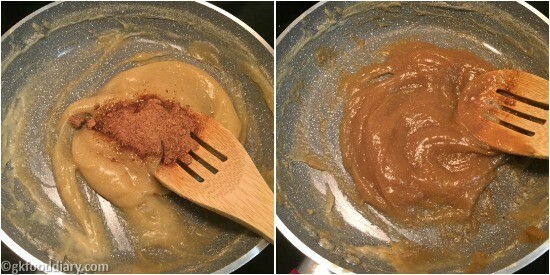 Take 2 tbsp of raw banana powder and add it to a thick bottomed pan. Add 3/4 cup of water to it. 2. Mix well with a whisk. Cook everything in a low flame for 5 minutes or until the raw banana powder gets cooked well. Stir it continuously otherwise it gets to stick to the bottom. 3. Once the raw banana powder is cooked, add powdered palm jaggery or palm jaggery syrup. 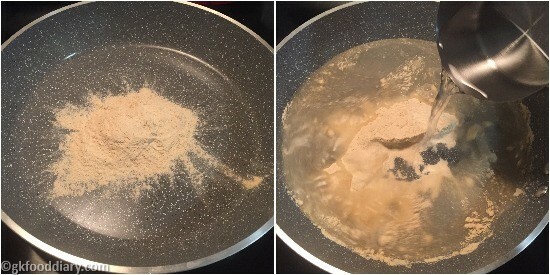 Mix well and cook further for 3 minutes. Switch off the flame once done and cool it down. 4. Transfer the cooked raw banana powder to a blender and add milk at this stage. 5. Then add honey to it. Blend everything until smooth. 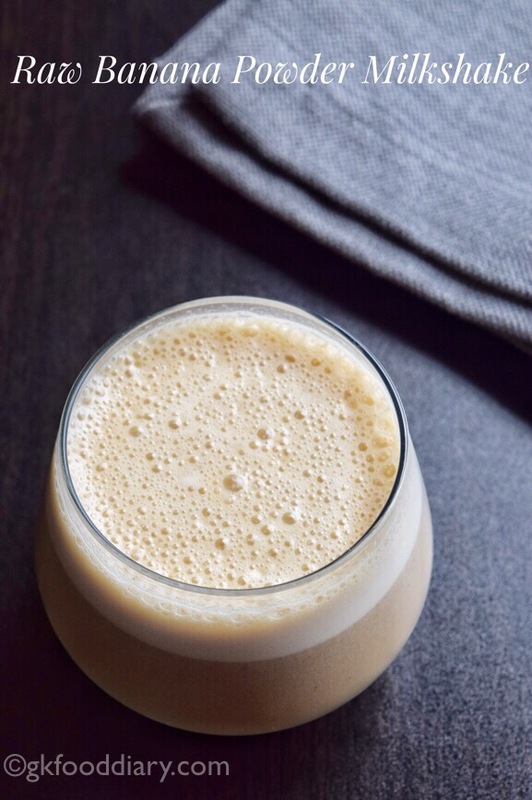 Tasty and healthy raw banana powder milkshake is ready! Pour into glasses and serve warm. 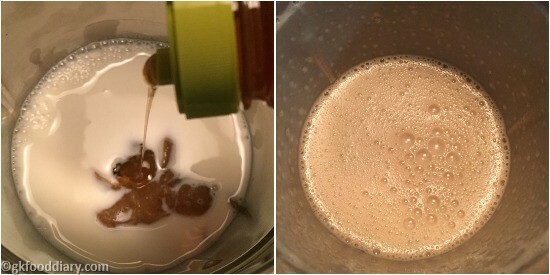 Adjust milk quantity as per your desired thickness. 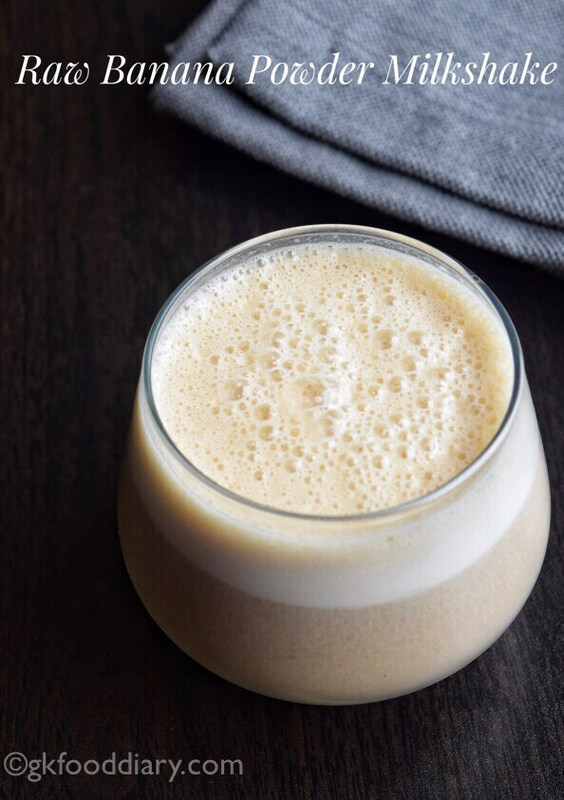 You can also add a banana or apple to this milkshake to make it more healthy. Stir it continuously while cooking to prevent the bottom from burning. Make sure the raw banana powder is cooked thoroughly, and the raw smell leaves.